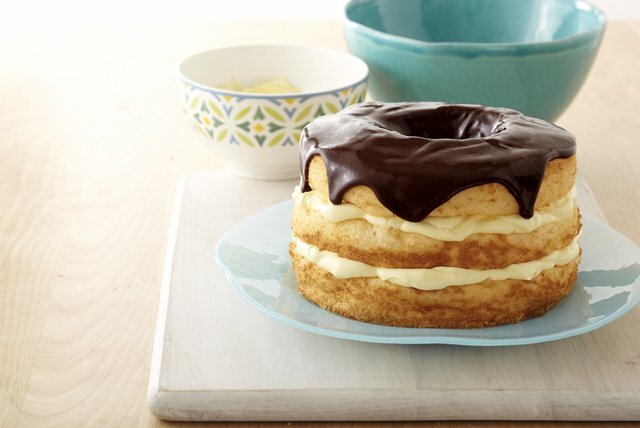 If you like Boston cream pies, you're going to really, really like this one—made with two layers of creamy filling! Microwave chocolate and remaining COOL WHIP in microwaveable bowl on HIGH 30 sec. ; stir until chocolate is completely melted and mixture is well blended. Spoon over cake.